Who Cares About Reviews? You Should! - Egeland Wood & Zuber, Inc.
Who Cares About Reviews? You Should! 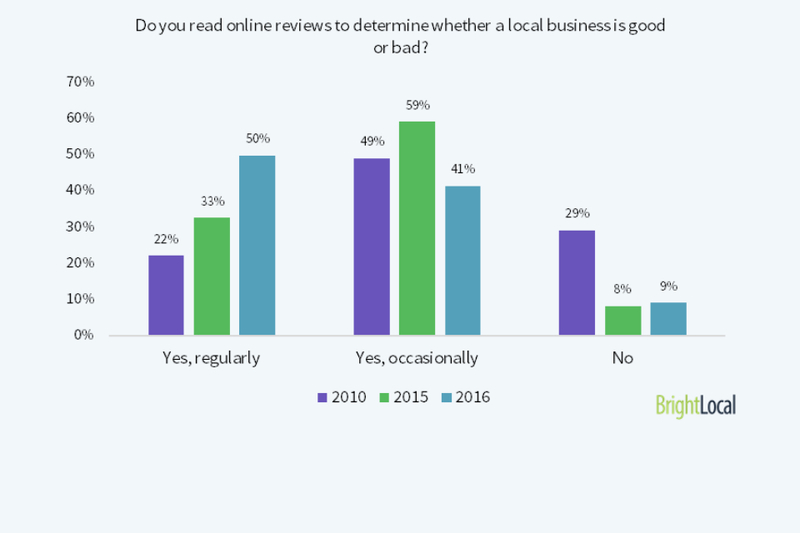 The BrightLocal Local Consumer Review Survey for 2016 is out and the results are stunning. A good review is extremely valuable for your business. You must work to have a positive online reputation if you expect to get new customers. Here are a few of the key ‘takeaways’. Read the full story on the BrightLocal website.